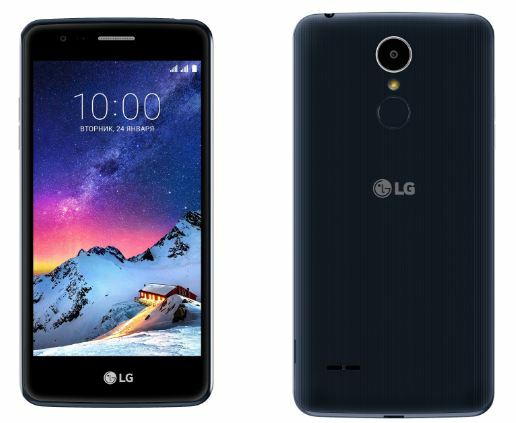 LG K8 (2017) Specs & Price Nigeria Russia USA UK India UAE. LG K8 (2017) is a mid-range smartphone in the K-Series releases. The smartphone was earlier announced in January and presently available in the Russian market for pre-orders going for around 10990 Rubles. The smartphone has a clean simple design and thin body. Colour options, include, Titanium, Gold, Indigo and Mocha. LG K8 (2017) impresses with its selfie camera, high efficiency and bright display. The smartphone is equipped with a 5 inches HD display. LG K8 (2017) has curved and smooth finish with dimension 73.2 x 147.1 x 8.2 mm which comfortably fits the hands for a good grip. It weighs about 148g. LG K8 (2017) runs Android 6.0 Marshmallow Operating System. The device is powered by a Quad-Core 1.3GHz Processor, the chipset is MediaTek MT6737. The RAM is 1.5GB approx. 2GB. The inbuilt storage is 16GB expandable via microSD card to 32GB. The rear camera is 5MP and the front camera for selfie packs more pixel, since, its selfie-focused smartphone. It has a 13MP front selfie camera with Virtual Flash feature, which, allows for a clear selfie in dark situation and also, the Interval Shooting Gesture feature, which allows upto 4 selfie to be taken in few seconds by using hand gestures (Clenching the hands and double tapping). LG K8 2017 supports 4G LTE. Has Wi-Fi (802.11 b, g, n) and Bluetooth 4.2. The smartphone has Dual SIM slots. The whole setup is powered by a removable 2500mAh capacity battery.